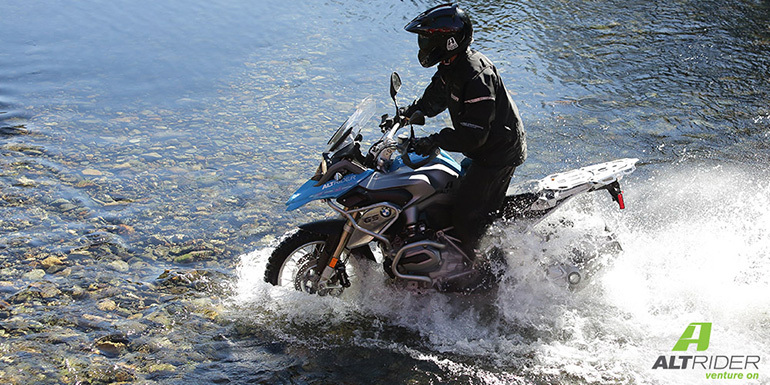 AltRider offers exceptional accessories for Adventure Touring Motorcycles such as the BMW GS series, Ducati Multistrada, Yamaha Super Ténéré, Suzuki V-Strom, Triumph Tiger and more. AltRider’s in-house design team creates 100% U.S.-made products utilizing only the highest quality methods and materials, packaged with all necessary hardware and instructions. 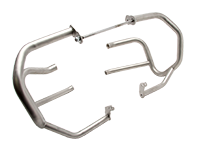 Whether it’s the beautiful grain finish on the anodized aluminum skid plates; the smooth, chamfered cut-outs on the luggage rack or the hand TIG welding on the crash bars; AltRider provides functionality and form in each protection piece. There’s a reason why Rawhyde’s training school outfits their fleet of BMW’s with AltRider Crash Bars – they just plain work. AltRider’s lineup of proven parts includes crash bars, skid plates, luggage racks, headlight guards, side stand feet, luggage and more. Each AltRider product is made to exacting standards with a clean, high-end finish that will complement the lines of your ADV machine. 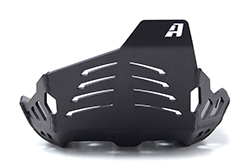 AltRider started in 2010 with the goal of creating top notch protection parts for adventure touring motorcycles by founders Jeremy LeBreton and Brianna Home. Great care goes into every step of developing an AltRider product – initial concept, functional design, and the best manufacturing methods. 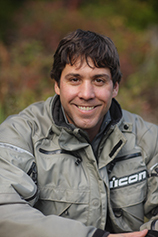 Jeremy is the mastermind behind the innovations of the AltRider product, having learned fabrication and manufacturing from companies such as Porsche, PACCAR, Microsoft and Siemens. You can count on us to give you adventure touring products that provide your bike with superior fit and protection. AltRider products are now available worldwide, shipping from their headquarters in Seattle, WA as well as their European headquarters in the Netherlands. We realize adventure riding isn’t just a hobby, it’s a lifestyle. In addition to crafting quality parts, we strive to motivate the riding community to embrace epic adventures by offering three day adventure rides throughout the country.